Years ago, there was a game show entitled To Tell The Truth. Three people would come out from behind the stage curtain, and the host would ask each in succession, "What is your name, please?" Each person would respond, "My name is John McCoy." The host would proceed to read a short biography of John McCoy, describing some fascinating aspect or accomplishment of his life. Each of the three contestants claimed to be John McCoy, but only one was the "real McCoy" (so to speak!). A panel of comedians or TV personalities would then ask each contestant some questions. After about 10 minutes of questioning they would attempt to guess who was the real McCoy. It would end when the host would ask, "Would the real John McCoy please stand up?" --and he would, ending the mystery. There are few subjects more hotly debated than the Church-approved apparitions of Our Lady of Fatima. The True Church (prior to Vatican II) declared the apparitions of the Mother of God to three small children in Fatima, Portugal, "worthy of belief." That being said, no Catholic is obliged to accept any private revelation as true. "Private revelation" is distinguished from "public revelation" (the Deposit of Faith) given by Christ to His One True Church and ended with the death of the last Apostle, St. John in 100 A.D. We are bound to accept the teachings of the Church regarding the Deposit of Faith. I have often stated that I will not allow (or perpetuate) rancor among Traditionalists regarding "the authentic message" of Fatima. I will attempt in this post to explain just why the apparition is so confusing and the subject of great controversy. I would like to first clarify my position: I believe that the apparition is real. If the Church declares it worthy of belief, that's good enough for me. It would be a sin to reject an approved revelation if the motive for the rejection is contempt for Church authority. I believe that there are several things we can safely take away from Fatima to make us better Traditionalists, such as the First Saturday devotions, wearing the Scapular, praying the Rosary with fervor, and the Fatima prayer to be recited at the end of each Rosary decade.In addition, we should make reparation for poor sinners and propagate devotion to the Most Immaculate Heart of Mary, while imploring the grace of Final Perseverance. I denounce the use of Fatima, or any other private revelation, as "proof" for any theological position not already approved by the Magisterium of the Church. We need to spend more time acquainting ourselves with authentic Church teaching, as expounded by the Church's own theologians prior to the Great Apostasy at Vatican II. The Blessed Virgin Mary, the Mother of God, appeared six times to three shepherd children near the town of Fatima, Portugal between May 13 and October 13, 1917. Appearing to the children, the Blessed Virgin told them that She had been sent by God with a message for every man, woman and child living in our century. Coming at a time when civilization was torn asunder by war and bloody violence, She promised that Heaven would grant peace to all the world if Her requests for prayer, reparation and consecration were heard and obeyed. "If My requests are not granted, Russia will spread its errors throughout the world, raising up wars and persecutions against the Church. The good will be martyred, the Holy Father will suffer much and various nations will be annihilated." In all Her appearances at Fatima, the Blessed Mother repeatedly emphasized the necessity of praying the Rosary daily, of wearing the Brown Scapular of Mount Carmel and of performing acts of reparation and sacrifice. To prevent the terrible chastisement at the hands of Russia and to convert "that poor nation", Our Lady requested the solemn public Consecration of Russia to Her Immaculate Heart by the Pope and all the Catholic bishops of the world. She also asked that the Faithful practice a new devotion of reparation on the first Saturday of five consecutive months ("The Five First Saturdays"). The most important part of Our Lady's Message to the world is contained in what has come to be called the "Secret" which She confided to the three child seers in July 1917. The Secret actually consists of three parts, the first two of which have been publicly revealed. The first part of the Secret was a horrifying Vision of Hell "where the souls of poor sinners go" and contained an urgent plea from Our Lady for acts of prayer and sacrifice to save souls. The second part of the Secret specifically prophesied the outbreak of World War II and contained the Mother of God's solemn request for the Consecration of Russia as a condition for world peace. It also predicted the inevitable triumph of Her Immaculate Heart following Russia's consecration and the conversion "of that poor nation" to the Catholic Faith. Mr. Gruner (1942-2015) was an invalidly ordained Vatican II "priest" (1976) from the Diocese of Avellino, Italy. He has been derided at the "CEO of the Fatima Industry." Beginning in 1978, Gruner started publishing a magazine The Fatima Crusader, calling on John Paul II to make the Consecration of Russia to the Immaculate Heart of Mary in union with all the bishops of the world. (This assumes JPII was really pope and there were real bishops with jurisdiction under him). 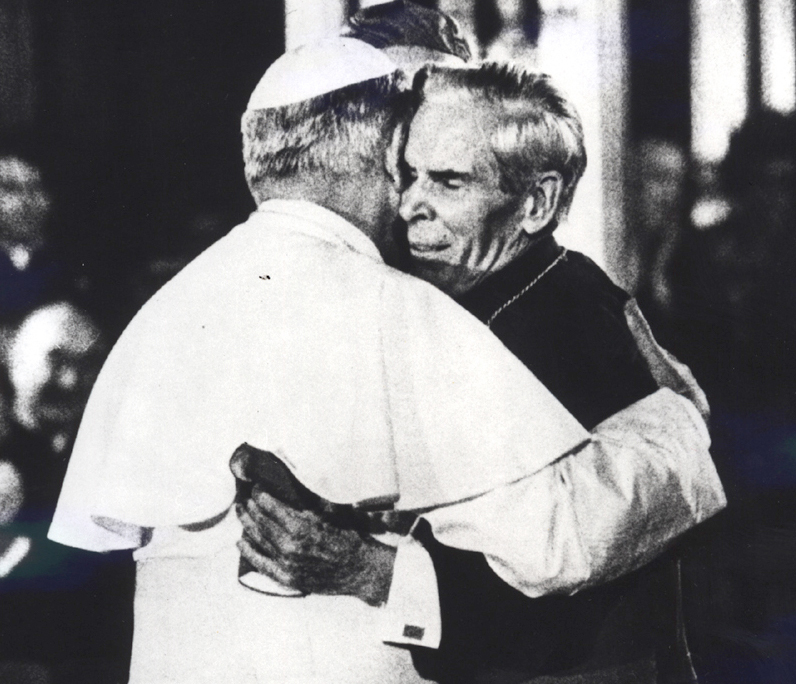 After the 1982 consecration of the world to the Immaculate Heart of Mary by JPII, Gruner claimed Russia need to be specifically mentioned, and all the bishops need to do it in union with the "pope." He often claimed to be "the only person spreading the true message of Fatima" against those who saw no need of a specific consecration of Russia. He would plead for money in each issue, to help him "spread the cause." There were always warnings of impending nuclear war if he was not successful. Once he actually wrote that you should let "Our Lady guide your hand to write the most generous check possible (!)" Sedevacantism was not something he would even consider since the "pope" can't do anything if we don't have one, therefore all his pleas for donations, as well as his very raison d'etre would disappear. He soon became a proponent of the "recognize and resist" movement "offering" the Traditional Mass and calling Vatican II a "mistake." This "consecration of Russia" was his panacea for all the ills in the world and the Church. After the fall of the Soviet Union in 1991, Gruner claimed that this was all a deception and the consecration had still not taken place. just about everyone, including his alleged "pope" were in on the conspiracy to hide the true message of Fatima. When Sr. Lucia was reported by the Modernist Vatican to have stated the consecration was completed in 1982, Gruner claimed the statement was a forgery. Pleas for money increased, as did predictions of nuclear war from a Communist Russia that really hadn't changed and was waiting to strike the West. He was suspended by the Vatican II sect for failing to return to his diocese, and he unsuccessfully appealed. He was later incardinated into Archdiocese of Hyderabad, but remained suspended. He claimed that he was never validly suspended. Towards the end of his life, he associated himself with Fr. Michael Jarecki, a notorious Fenneyite priest associated with the Vatican II sect St. Benedict Center, who died at age 95 in 2012. In 2014, he appeared in NYC to promote the totally discredited "apparitions" at Bayside, Queens. Gruner died of a heart attack on April 29, 2015. The Sr. Lucia theory is similar. Prior to 1960, Sr. Lucia was "replaced" by an impostor so she could not tell "the True Message of Fatima" to the world. Exactly who are the nefarious people that performed this "switch" is never really clear, although one would gather it was done by some enemy of the Church inside the Vatican. (All the makings of a great Malachi Martin novel). 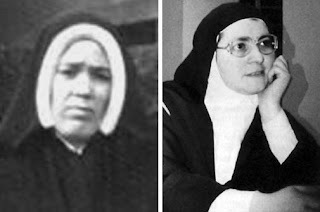 A "recognize and resist" website, traditioninaction.org, shows pictures of Sr. Lucia ("Sr. Lucy I" --or the real nun, and "Sr. Lucy II"--or the impostor). Here is the "evidence:"
Sister Lucy I stands in a collected way, her hands in a discrete gesture. Her posture and demeanor are quite composed, as befitting a religious woman. The pose of Sister Lucy II as a young nun is in many senses different. She rests her face on her hand as if she were in a classroom listening to a lecture. Her somewhat artificial air catches one’s attention. Her wrists are deliberately showing, as well as a small bit of her hair at the top and side of the habit, more in keeping with the manner of a progressivist nun, clashing with the extreme discretion of Sister Lucy I. Sister Lucy II’s glasses are very modern in style for a nun of the 1950s. One can certainly say that it reflects a person sensitive to the appeals of fashion. Again, an attitude foreign to Sister Lucy I. These are the comparisons I would like to offer to my reader. My conclusion is simple: the face, the features, the gestures, and the spirit of the two Sister Lucys are dissimilar. It would seem, then, that we are looking at two different persons. The rest of the "evidence" is no more convincing. What is the real ("true") message of Fatima according to this group? " ...it is a description that certainly matches the reality we are witnessing today: the radical changes that were installed in the Church by Vatican Council II and were universally spread in the last 45 years." Yet, they believe these men are still "popes" and "bishops" with authority! OK, this alleged prophesy by the Blessed Mother, is really up for grabs. Portugal legalized abortion in 2007 and sodomite "marriage" in 2010. The Vatican II sect flourishes there. In what sense have they "preserve[d] the dogma of the Faith"? Some of my readers commented that this might refer to a Portuguese man becoming a true pope to end the sedevacante period of apostasy in which we all live. It's possible. What about the alleged prophesy at Fatima that "entire nations will be annihilated"? Gruner talked about (always imminent) nuclear war. Others said it was constructive disappearance through the European Union. Also confusing is the message that "In the end my Immaculate Heart will triumph... and a period of peace will be given to the world." How, exactly, does this fit in with what we know about the Great Apostasy, the Antichrist, etc.? There will be peace and then the end- times will come at a future date? You cannot start to change what we know from Church teaching because of some private revelation. These statements are too subject to varying interpretations and qualifications. There is plenty wrong. Witnesses attest to the fact that the Fatima apparitions were exterior, physically sensible apparitions. The Miracle of the Sun was witnessed by over 100,000 people and reported in major newspapers. The commentary insists that the Fatima apparitions were merely interior visions to the three children. There is no discussion as to why, in the critical year of 1960, the secret was not to be released. My spiritual father, the late, great Father Gommar A. DePauw, a peritus (theological "expert") at Vatican II, was "leaked" an alleged copy of the Third Secret. It was only supposed to have been seen by Cardinal Ottaviani and John XXIII. Other high ranking officials claimed to have seen it, but no one knows for sure. Father was not sure if it was authentic, but he believed that it was for reasons he did not share with me. He claimed it told about the complete collapse of the established Church, which would be reduced to a handful of Faithful Catholics refusing novelty and dedicated to Tradition. It seemed to happen before his eyes from 1962-1965 as he was there at the Council and formed the Catholic Traditionalist Movement in 1964! He also rejected Ratzinger's alleged "secret"--saying "Thanks, but no thanks!" He wasn't falling for it. So what is the "true message" of Fatima? As I have demonstrated, there are many conflicting views on many aspects. That's why we must concentrate on Catholic teaching, expose the Modernist Counterfeit "Catholicism" of the Vatican II sect, and refuse to argue over private revelations. In due time, Our Lord will make known what Fatima was all about, and the truth will be told. The Most Blessed Virgin Mary has suffered horribly at the hands of the Modernists. The Vatican II sect has done everything possible to make her irrelevant in people's lives. The Rosary, once proudly displayed and used at the Most Holy Sacrifice of the Mass by the faithful, can't be used at the Novus Bogus bread and wine service with everyone skipping and dancing around a table. The few remaining members of the Vatican II sect who actually know how to pray the Rosary were given an "updated" version by John Paul the Great Apostate with his "Luminous Mysteries." During the Council, 382 bishops petitioned that Mary's role as Mediatrix of All Graces should be defined. This was the largest number of bishops petitioning for any one item (the second largest number of bishops was 300 asking for a specific condemnation of Communism). The Modernists worked overtime to stop Mary from getting recognition She deserved. (Fr. DePauw, a peritus--or expert--at Vatican II who fought the Modernists, told me that Cardinal Ottaviani of the Holy Office had informed him Pope Pius XII had actually begun the process of forming a commission to draw up a definition of Mary as Mediatrix of All Graces with the great Fr. 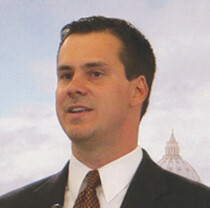 Reginald Garrigou-Lagrange to possibly be appointed as its head. Fr. Garrigou-Lagrange had drafted Munificentissimus Deus, the Apostolic Constitution promulgated by Pope Pius XII on November 1, 1950, declaring the dogma of Mary's Assumption into Heaven. The whole thing was immediately scuttled by Roncalli after his "election."). Three Modernist Cardinals led the attack on Mary: Ledger (Canada), Alfrink (Holland), and Bea (Prefect of the "Pontifical Council for Promoting Christian Unity"--a Commission started by Roncalli in 1960 to spread the heresy of ecumenism). They were able to successfully block any Marian definition, and succeeded in stopping a separate Council document devoted to the Mother of God. It was the closest vote of the entire Council---1,074 bishops in favor of a separate document for the BVM and 1,114 bishops against. Alfrink attacked any definition of Mary as "devisive," and Bea, former confessor to Pope Pius XII and closet Modernist until Roncalli took over, said the Marian dogma would be "unecumenical." The apostate priest and peritus from Canada, Gregory Baum, had this to say in 1963, as published in the November 1963 edition of The Sign: "There is no doubt that Mariology, or the Catholic teaching on Mary, is a tremendous obstacle to the ecumenical movement, because it developed since the Reformation. The two Marian dogmas on the Immaculate Conception and the Assumption are obstacles, because they are new and concern a subject not directly connected with our salvation and also because they are the only doctrines defined by the pope alone." So Mariology originated in the 1500s? The Immaculate Conception and the Assumption are "new"? (Is that why there was a Mass in honor of Our Lady's Assumption from at least the eighth century?) These were the only doctrines defined by the pope alone? (Ever hear of canonizations or Unam Sanctum?) This was the drivel the Modernists were unleashing upon the Catholics of the world. It should be noted Baum drafted the damnable document Nostra Aetate and left the priesthood to "marry" an apostate nun. Ah, the sanctity that swells forth from the "New Springtime" of Vatican II! In the end Mary was mentioned only in the last chapter of the heretical document on the Church, Lumen Gentium. She was referred to as "Mediatrix" but not "of All Graces" and no definitions were even attempted after the initial success of the Modernists. Lest anyone think this was only the work of "liberals" in the "Church" (SSPXers are you listening? ), "conservative" Avery Dulles (made a "cardinal" by John Paul II--that "pope" who loves Mary so much) in a March 5, 1997 interview for The Long Island Catholic (sic) declared that Marian dogmas should be made optional (!) for belief, because they are "a barrier to ecumenical unity" and "something less than central to the faith." When I was growing up in NYC, it was a truism that the quickest way to start a fight or end a friendship was to make a degrading remark about someone's mother. As a childhood friend once explained it, "You can't say something bad about a person's mother and expect him to just forget it and do you any favors." Seems like the "recognize and resisters" of the SSPX and their ilk (Bp. Williamson, John Salza, etc.) haven't learned what a group of teenagers intuitively understood. The Vatican II sect spits in the face of God's Own Mother by denying Her prerogatives and belittling Her at every turn, both officially and unofficially, directly and indirectly. This is why the sect crumbles even as it seeks to absorb all into its ecumenical one-world religion. The heretics had to do what they did. They want to take people away from the Blessed Mother, who is the Gate of Heaven, and who will one day stop them as the Destroyer of Heresy.